In Store & Online: Sign Up is at the bottom of the page where it says "special offers, new arrivals and news". They will email you a 10% welcome coupon instantly or within 48 hours. Print or show on mobile device for a 10% discount. Print email for a 30% discount on your entire purchase at a Timberland Specialty store near you. 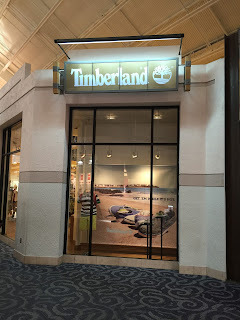 Redeemable at Timberland Factory Stores in Tanger Outlets, Atlantic City, New Jersey, Barstow, California, Georgia, Deer Park, New York, Lancaster, Pennsylvania, Myrtle Beach, Texas, Tennessee, Westbrook, Connecticut. Timberland is one of the nations leading retailers for footwear, outerwear, handbags, and luggage. Timberland started as a brand name for their original waterproof leather boots. After their boots gained popularity their store became a household name and known not only for their casual and sporty boots but also for their clothing, shoes and sandals both for men and women. Their coupons and codes are available several times a years and are posted here on this page. Visit us now and then for extra savings on your purchases.